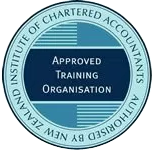 It is nearly a year since Look-Through Companies (LTCs) came in to existence with the abolishment of loss attributing qualifying companies (LAQCs) on 1 April 2011. Look-Through Companies will be required to file a different style of income tax return with the IRD for the first time for the 2012 income tax year which ends on 31 March 2012. Look-through applies for income tax purposes only. An LTC is still recognised as a separate entity for GST, PAYE, FBT etc purposes.